This is a collection of random ads I've run across in publications that I don't mind cutting-up. 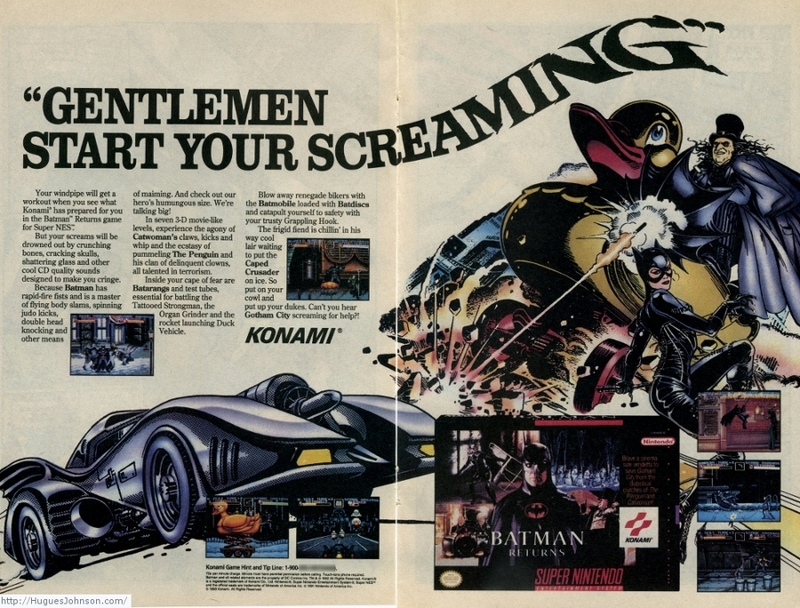 There's no real theme other than they'll all from the 16-bit era. This is by no means intended to be a thorough collection and it's something I'll (slowly) add to over time so please check back in a while. 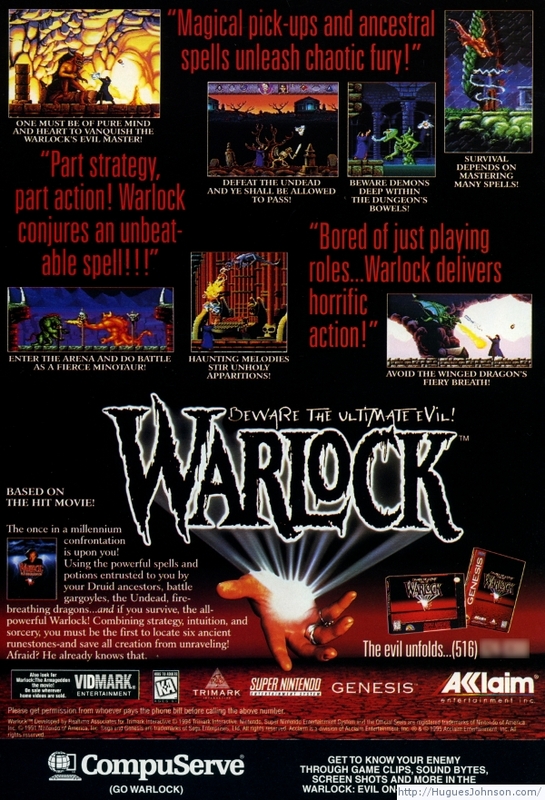 With advertising like this, is there any wonder why the TurboGrafx-16 didn't succeed? I'm a huge fan of the system but will be the first to admit they did a horrible job marketing it. 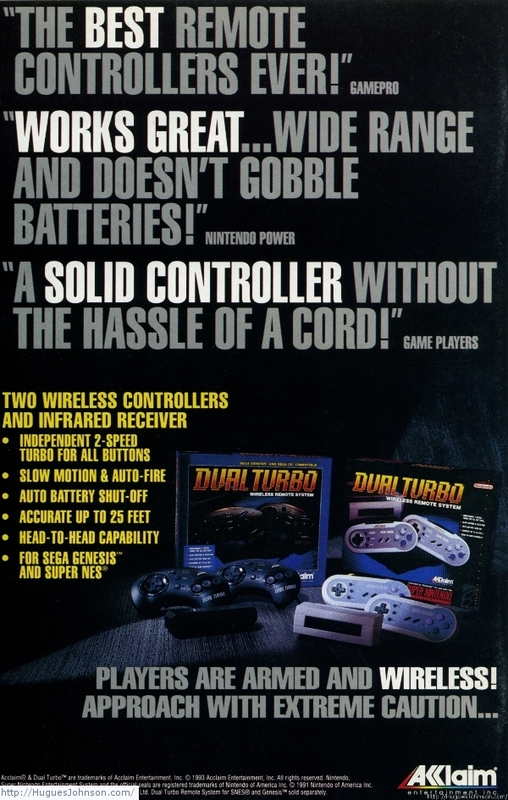 Another puzzling ad - "The difference between the new TurboGrafx-16 and other video game systems is all in your head." Did whoever wrote that ever consider how incredibly negative it sounds? 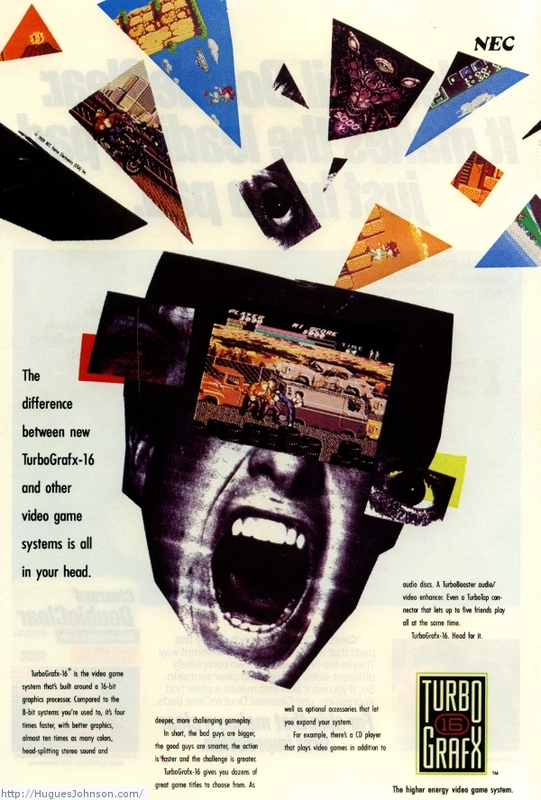 Yeah, I was totally going to buy a TurboGrafx-16 but then this exploding head ad told me I was only hallucinating when I thought it looked great. 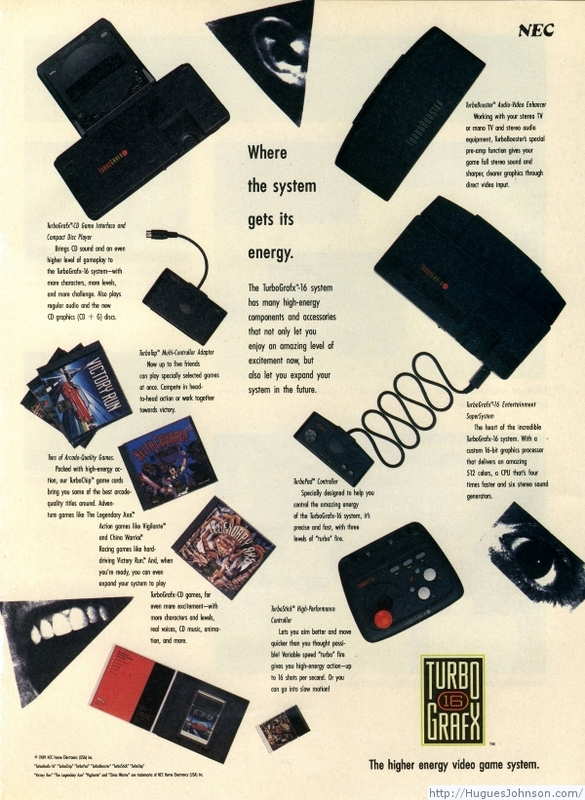 Alright, a good TurboGrafx-16 ad. Of course it had to come from a 3rd party rather than NEC. 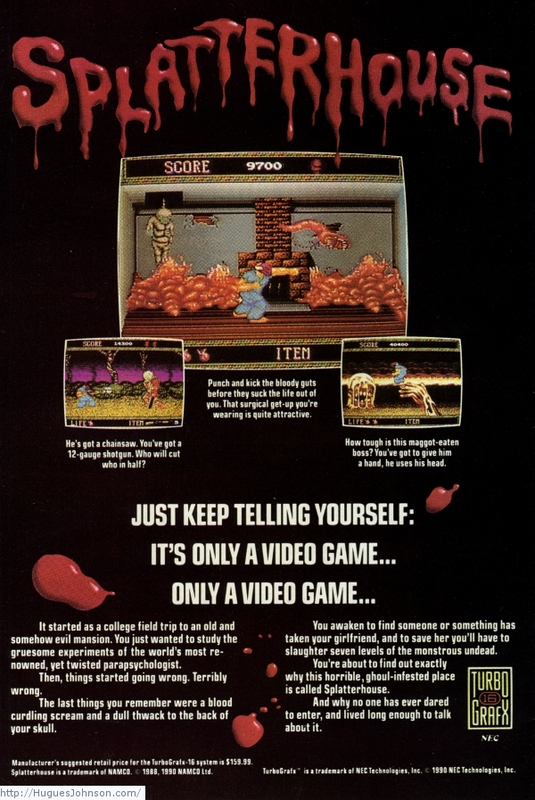 Splatterhouse had to be the best promoted game for the system. There were tons of ads and crazy promo items given out at stores. Unfortunately I don't own any of them (yet). Finally, a comic that explains the Splatterhouse canon. 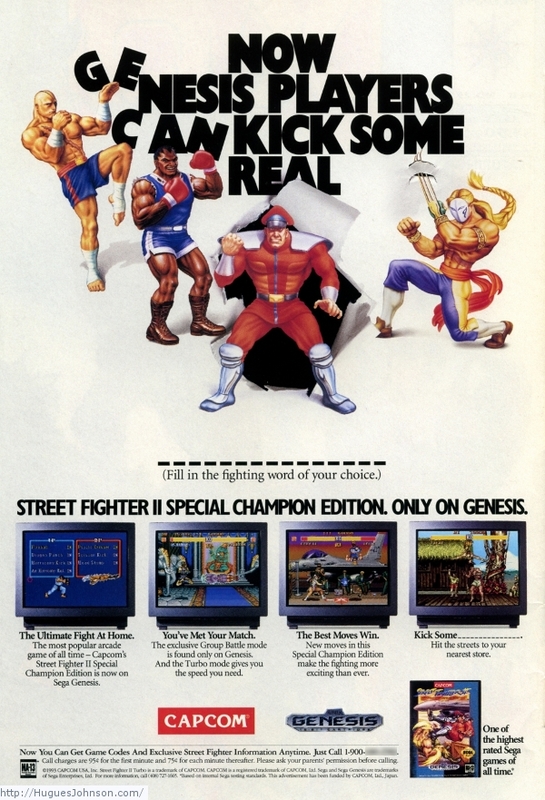 My brief recollections on the Street Fighter II Special Champion Edition launch. 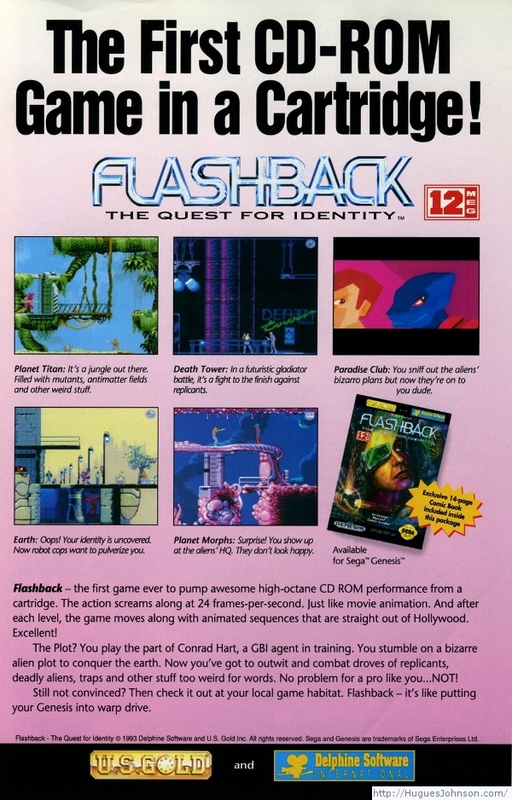 Interesting slant on this ad - a CD quality game in a cartridge. 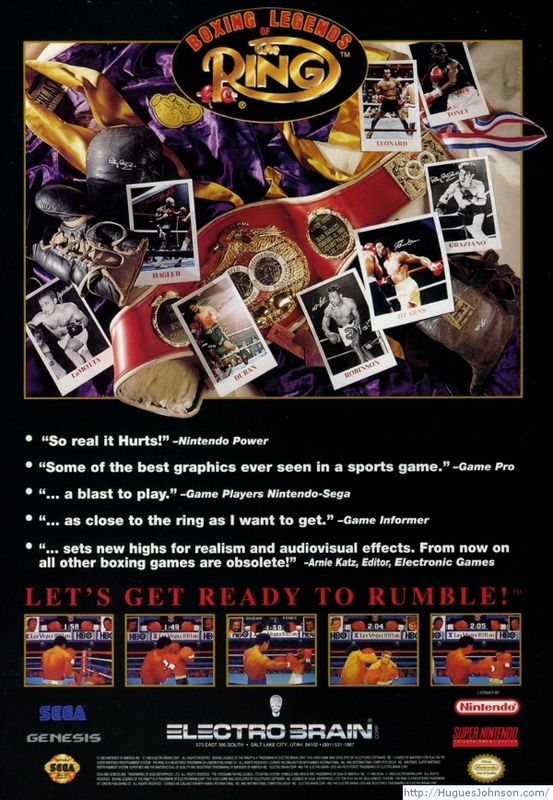 Since most of the Sega CD games didn't really look much better this was a fair enough claim for the time. 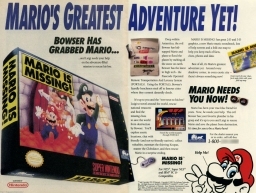 This is one of the earliest ads to include a web site URL - https://segaoa.com/. This domain is no longer owned by Sega but does look like something created in 1995. Usually I don't care for ads without screenshots but I'll make an exception for this one. 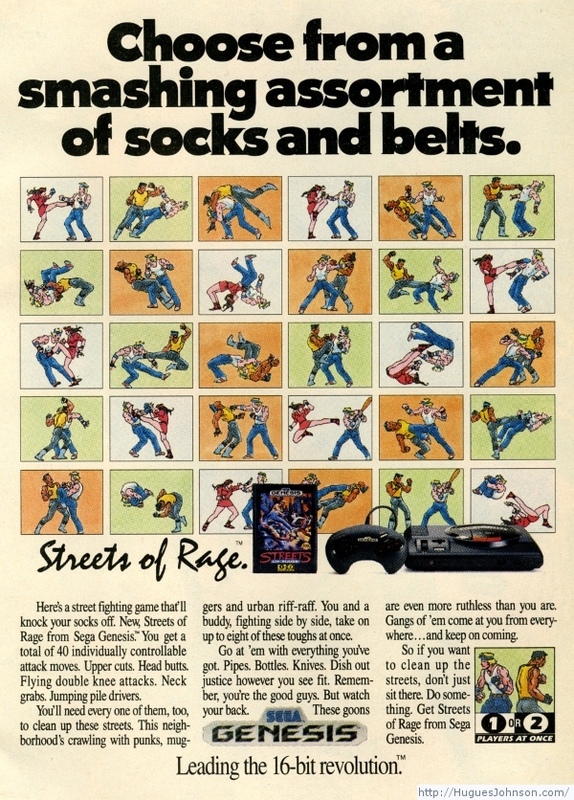 I think the little caricatures of the various moves is an effective plug for Streets of Rage. 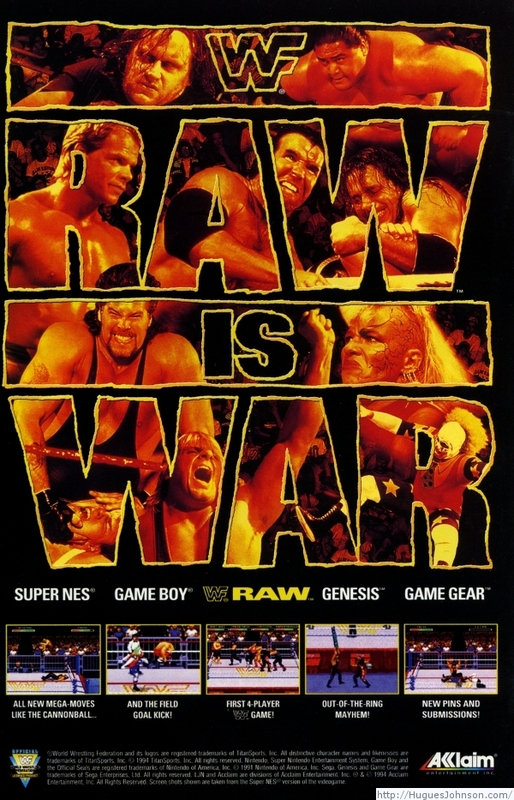 If you want to know how much pro-wrestling changed between 1990 and 1995 just compare this ad to the WWF Raw one farther down. Whoever it is that publishes Superman was planning to kill off the character. The edition where he died was going to be some massively collectible thing even though it would be the highest selling single comic ever making it about as collectible as a Big Mac. 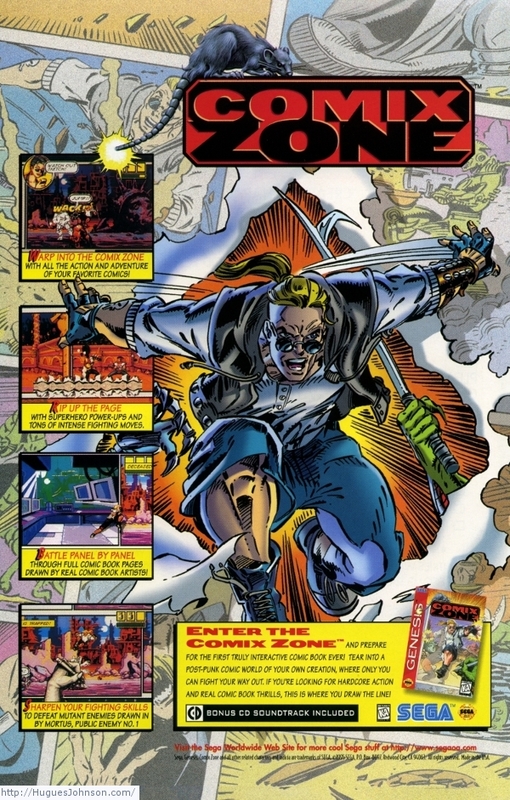 Even though he was dying they were still publishing the comic which should have been a pretty good indication that he wasn't really dead and this was all hype. 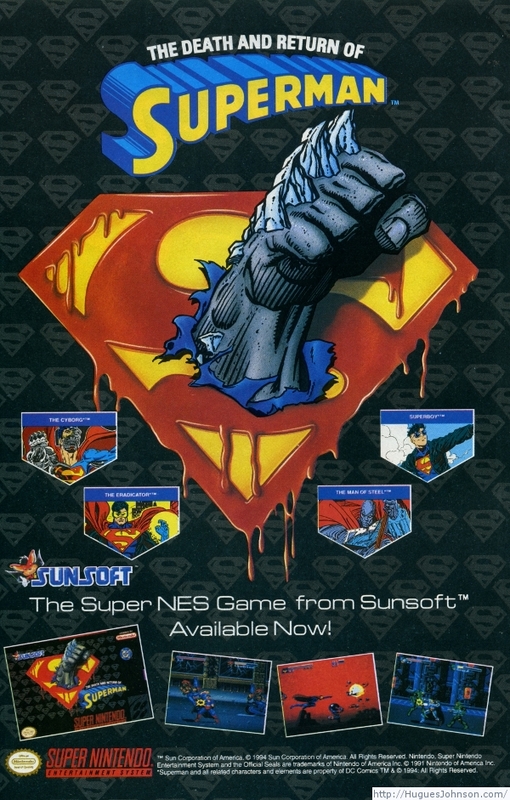 At some point four, or possibly more, dudes emerged all claiming to be Superman. One, or possibly none, of them actually were Superman. 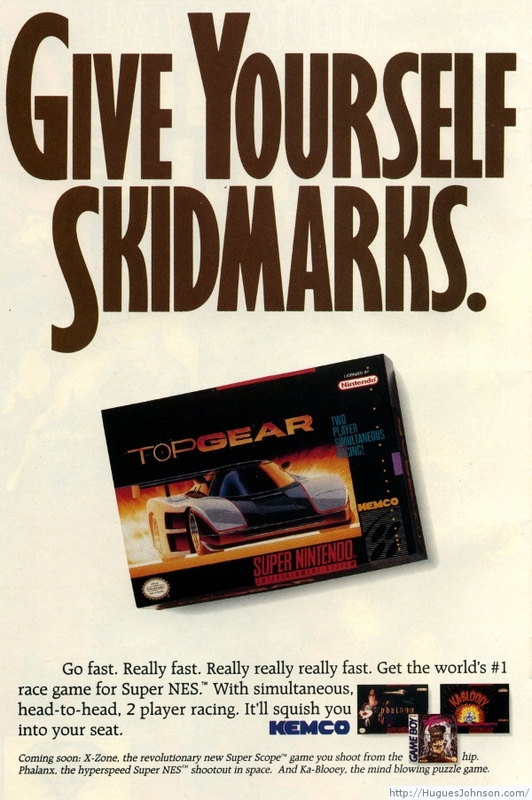 A rather uneventful ad and game. Seriously, someone thought this was a good idea for an ad? 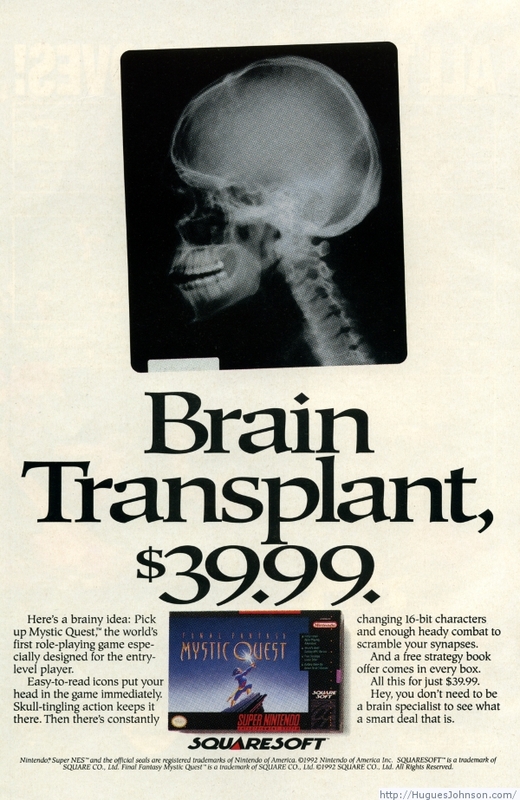 Somehow I've never played Final Fantasy Mystic Quest but would like to someday. From what I hear it's basically "Final Fantasy for Dummies"; much like the GBA and DS remakes of the original series. Based on this ad, that seems to be an extremely accurate description. 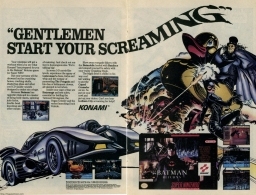 I'm not sure why I'm posting this, I'm not a fan of Batman or this game. Maybe I just enjoy the challenge of trying to merge these multi-page ads. Alright, I saved the worst for last. 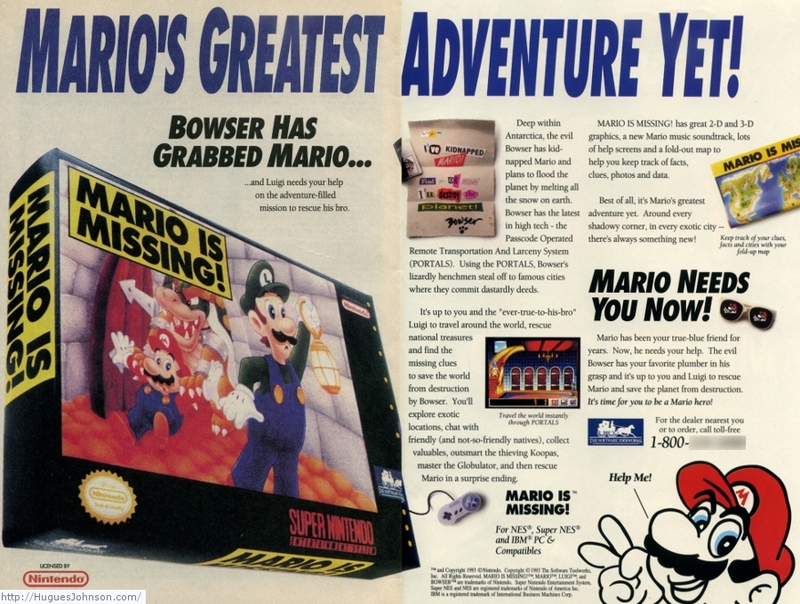 I'm not talking about Mario is Missing, which is a bad game, or the preposterous claim that this is "Mario's Greatest Adventure Yet!" Nope, I'm talking about the quality of this scan. It was a multi-page ad that spanned the last page and back cover so it's two different textures. The end result looks pretty bad. Great CompuServe reference on the bottom. 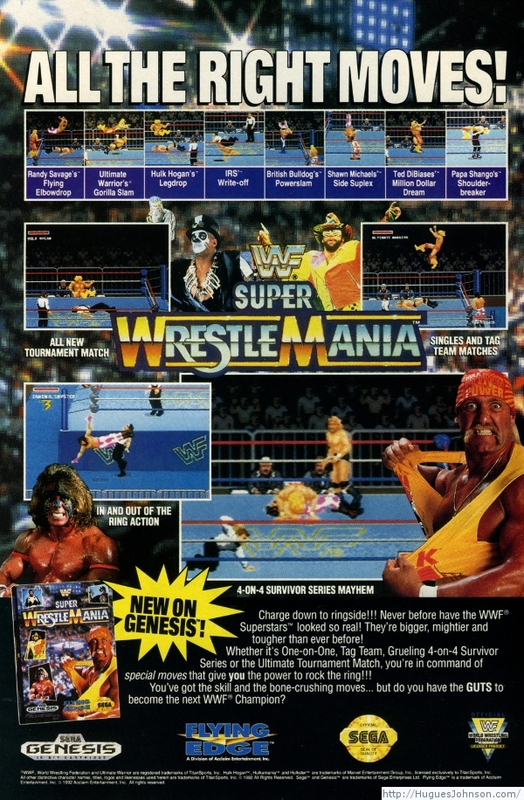 This ad is rather depressing, three of the wrestlers pictured here are now dead and two are permanently injured. 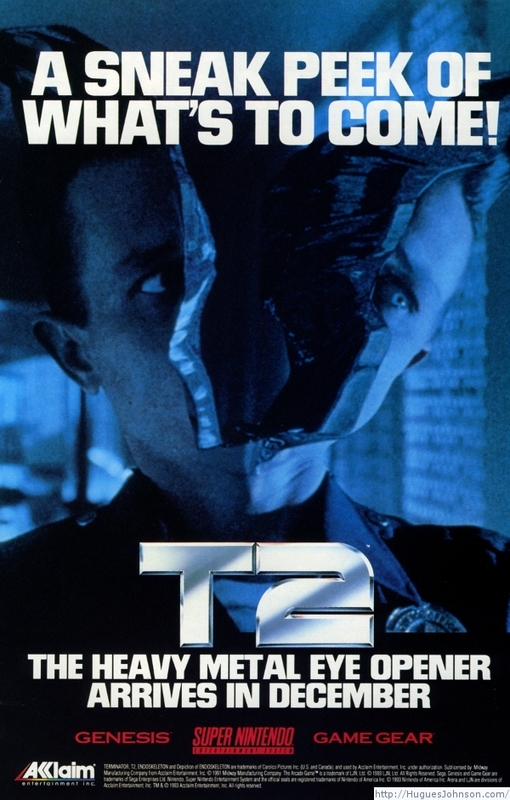 This was a good arcade shooter but light guns weren't all that popular for the Genesis or Super Nintendo. It bet it still sold reasonably well anyway. I have no idea how/why this was done on the Game Gear. I spotted a set of these at a thrift store but they were selling the controllers and receiver separately. It came out to something like $20 and I didn't have the energy to try and haggle with them.